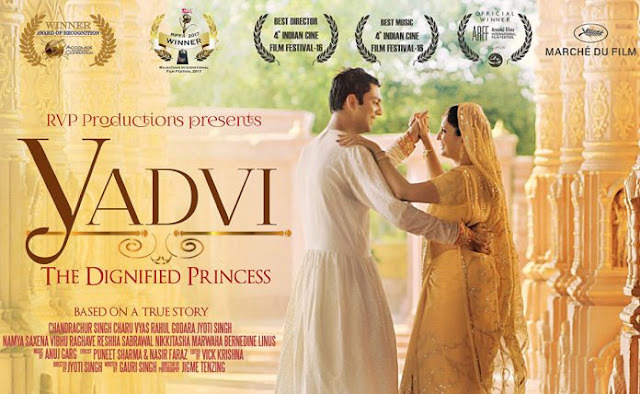 The stunning box-office success of Yadvi - The Dignified Princess — true story of a princess from Patiala, from Punjab India, named “Yadvi” Yaduvansh Kumari, who is caught in the moral and societal dilemmas that existed in the period right before and after Indian independence, the film is particularly special because it is a tale told from an interesting source – the granddaughters of Princess Yadvi. 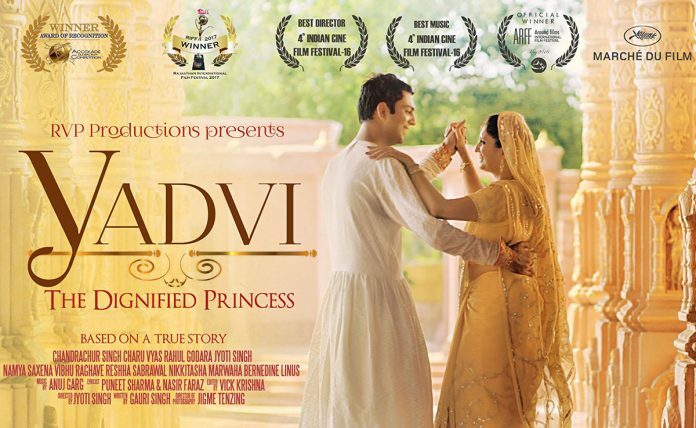 The producers of the film, Yadvi - The Dignified Princess, announced today that the film will screen in U.S. Directed by New York Based Actress Jyoti Singh, Screenplay by Gauri Singh, Edited By Vick Krishna, and Cinematography by Jigme Tenzing. The Film will screen in May 25-May 31st at Laemmle Music Hall, Beverly Hills, California and Manhattan, NY on June 1st—June 7th at Cinema Village. Honorable Counsel General Shri Sandeep Chakravorty will attend the premiere. Yadvi is the tale of the beloved daughter of the Maharaja of Patiala, a very famous Maharaja of India, first to own an airplane in India and for many other important contributions to the history of India. This role is played by Bollywood Actor Chandrachur Singh and his son debut as a child artist, Chandrachur Singh himself sung a “Rangreeza” Song in the film, Music directed by Anuj Garg. The film also stars Vibhu Raghav, Nikkitasha Marwaha, Namya Saxena, Reshaa Sabharwal, Kuvam Handa, Yadvi Handa, Aishwarya Singh, Bernadine Linus, ketki Puri, Mariane Borgo (French Actress), Dina Rosenmeir (Actress from Denmark), & Minnie Pandit. The film is produced under the banner of RVP Productions, executive producer Sumeet Verma. Yadvi is an incredibly captivating film! From the stunning imagery to amazing soundtrack its entire production is a true work of art--but the characters are what really make the film. The screenplay is surprising and precise, and the performances are spectacular.